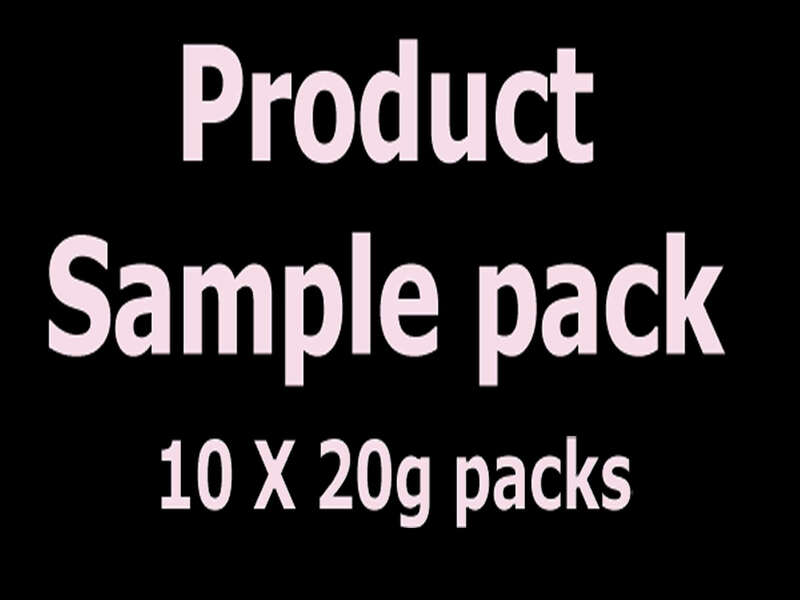 If you would like to try a small sample of our products, why not use our 20g sample pack? Choose any 10 products from our extensive range and we will send you 20g each of those 10 chosen products. Please let us know on the order form which 10 products that you would like. If you do not specify any products, we will choose 10 different products for you. Only 1 sample pack is available per customer per order. Orders for more than 1 will be refunded.